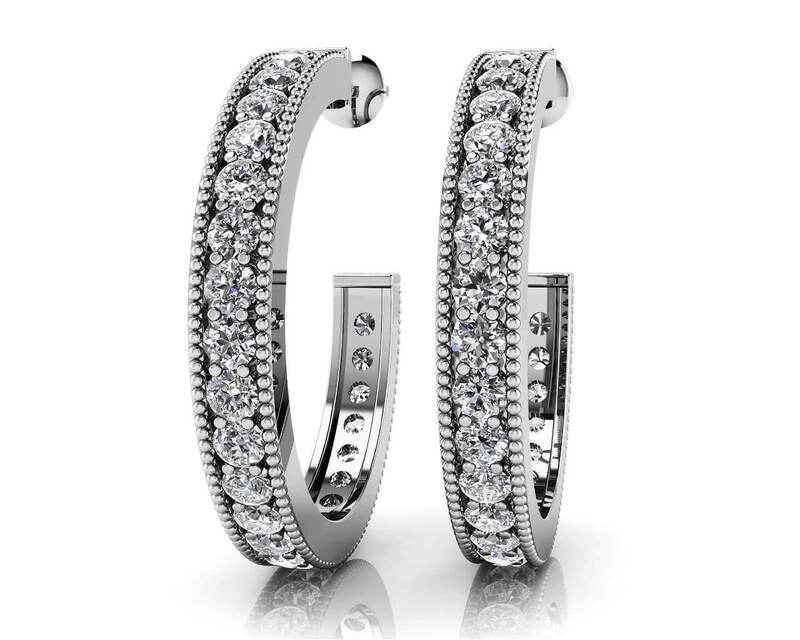 These stunning oval hoop earrings feature an alternating gemstone and diamond design. Millgrain edging gives it a modern yet vintage appeal. 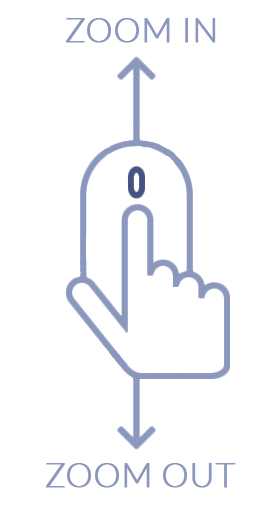 You can choose from three available sizes including 1.00, 1.48 or 2.04 total carat weight. 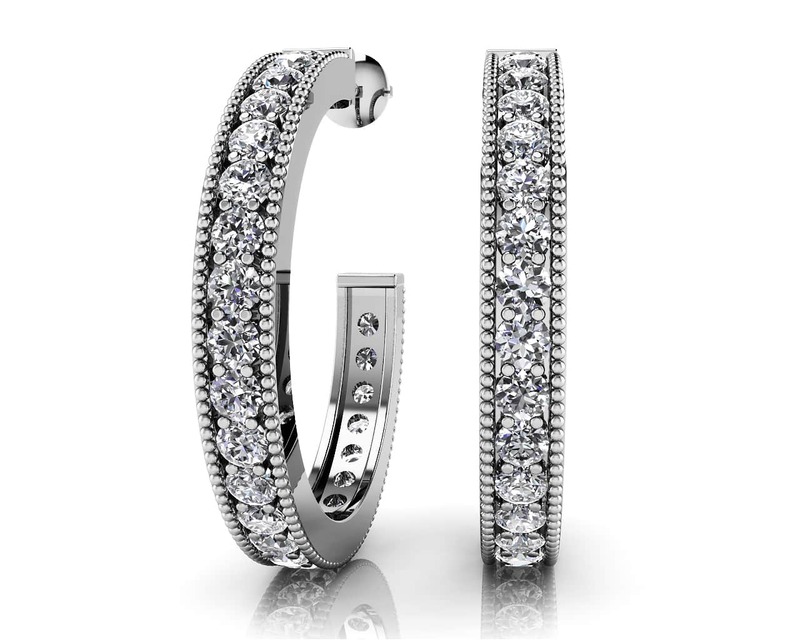 These oval hoop earrings shimmer from every angle, thanks to the lovely row of beautiful stones set in each one! 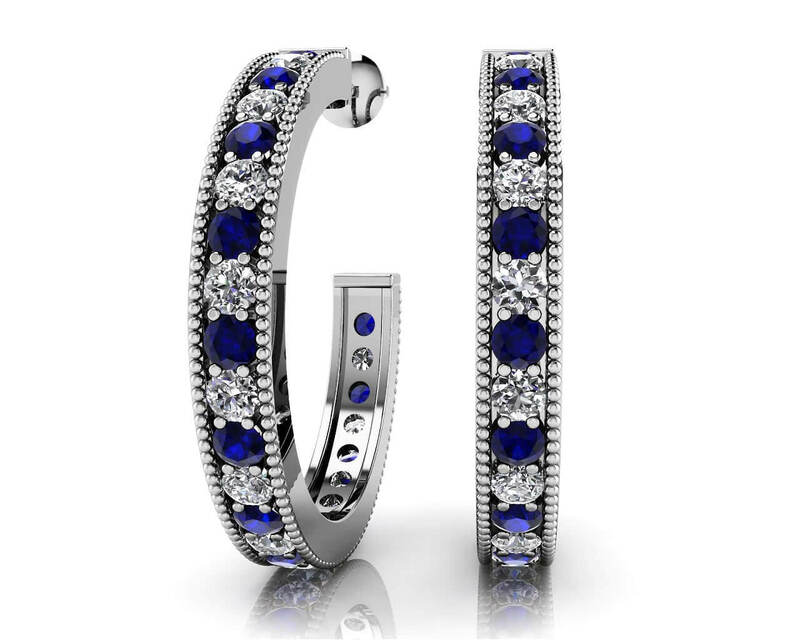 Customize a pair in gold or platinum, and with your favorite gemstone or birthstone for a unique accessory that represents your style! Stone Carat Weight: 20X.020 ct., 20X0.020 ct.